DIPL-A0047 is a small, lightweight and rugged dipole wideband antenna operating over the frequency range 20 MHz to 100 MHz with power handling of 500 W.
DIPL-A0047 is ideal for rapid deployment on vehicles and lightweight field masts where larger antennas would be impractical. The antenna pattern is essentially omni-directional, with full instantaneous bandwidth, making it ideal for wideband jamming applications such as improvised explosive device (IED) suppression. 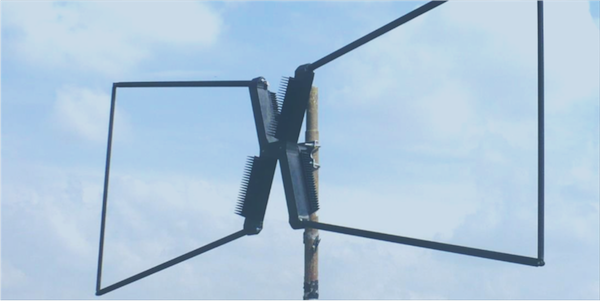 The bowtie-based design lends the antenna a wide bandwidth and ground plane independence. DIPL-A0047 is constructed entirely from corrosion- resistant materials and specified over a wide operating temperature range from -20 degC to +50 degC.